Should CFOs yield the technology responsibilities that come with making faster data-driven decisions to a new C-suite officer? Or, does the Finance Leader need to own that decision-making process? Is there room at the executive table for another C-suite executive … and enough financial bandwidth to cover another executive compensation package? I’ve been writing about the trend I’m noticing among Chief Financial Officers and the new breed of CFOs who possess strong technology acumen. Here’s my latest article on Linkedin Pulse. But, in polling Finance Chiefs in the SmartBrief for CFOs, the results of two polling questions are … interesting. Last week’s question was around how technology is driving the current evolution of the CFO role, and asked how many CFOs held responsibility for the IT function. While 44% said IT was a separate department, 42% said they currently oversee IT and another 3% will be adding that function to their ever-evolving responsibilities this year. So, pretty much a 50/50 split among those who responded. 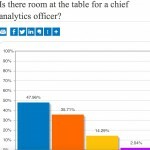 Is there room at the executive table for a Chief Analytics Officer to manage and analyze data? At the time this blog was posted, almost 50% said no to another C-suite executive role. What do you think … will the finance role evolve to absorb this increasingly critical technology function, or will it require yet another C-suite table mate? Feel free to vote in this week’s poll and/or leave your thoughts below. 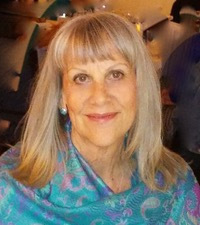 This entry was posted in CFO Careers, Current Affairs and tagged CFO, CFO Careers, CFO-Coach, Chief Financial Officer, Cindy Kraft, Finance Chief. Bookmark the permalink.